Timothy Michael Collins...Twitter: @Timcollins55...Instagram: tim_collins55...graduated from Worcester Technical (MA) High School, helping the team compile a 91-5 record in his four seasons... despite the success, was not selected in the 2007 First-Year Player Draft. Signed back with Washington as minor league free agent December 29, 2017...was a non-roster invite to Nationals spring training, the seventh major league spring training of career ... Spent two stints over the season with the Nationals, appearing in 38 games for Washington and 30 for Syracuse ... Made return to the major leagues in Nationals debut May 21 vs. San Diego, pitching 1.0 scoreless inning with one hit allowed and two strikeouts, his first game in the big leagues since September 28, 2014, a span of 1,331 days between appearances ... Pitched scoreless relief in 32 of 38 games for Washington, including each of first 12 (7.2 IP) ... Ranked fourth among National League relievers with 18.5% (5-for-27) inherited runners scored ... Held left-handed hitters to a .222 batting average and right-handed hitters to a .310 average with Washington ... Combined to go 2-4, 4.27 ERA (54.2 IP, 25 ER) with 27 walks and 55 strikeouts in 68 games between Syracuse and Washington ... Declared free agency October 29. Returned to the mound after missing two seasons...Joined the GCL Nationals in mid-July and appeared in 18 games between the GCL Nationals, Single-A Potomac Nationals and Double-A Harrisburg Senators. Underwent his second season-ending "Tommy John" surgery in late March. Missed the entire 2015 season after suffering an injury to his ulnar collateral ligament (UCL) during Spring Training... he underwent season-ending Tommy John surgery on March 11. Tim made his fourth consecutive Opening Day roster, making just 22 appearances in the Major Leagues after three straight seasons with at least 66...Pitched in just two games before going on the Disabled List on April 7 with a left flexor strain...Returned from the Disabled List on May 4, making 16 appearances before being optioned to Omaha on June 24...Worked in 23 games for Omaha, his first Triple-A action since 2010…posted a 2.76 ERA and three saves while holding batters to a .177 mark…helped the Storm Chasers win the Pacific Coast League and Triple-A crowns before returning to KC on September 19. Tim spent his third full season in the Major Leagues, tossing 53.1 innings over 66 appearances. Allowed just one run over 9.0 innings in April, before going 1-5 with a 6.29 ERA from May 1 until the All-Star break (17 ER in 24.1 IP). Posted a 1.35 ERA (3 ER in 20.0 IP) in the second half, including 9.0 consecutive scoreless innings from August 26 to September 23. Compiled his best numbers outside the division, holding the rest of baseball to a 1.53 ERA (6 ER in 35.1 IP) ... allowed 15 earned runs in 18.0 innings against the A.L. Central. Finished 2013 ninth all-time among Royals relievers with 205 career strikeouts...needs five strikeouts to pass Steve Mingori (210) for most among left-handed relief pitchers. Tim spent his second full season at the big league level and posted 93 strikeouts, which led all A.L. relievers and were the most in a season by a KC lefty reliever...was fifth among all KC relievers,falling 10 shy of the club record(103 by Jim York in 1971)...In 2.2 more innings, lowered his walk totals from 48 in 2011 to 34 in 2012...He posted a 0.96 ERA in 37 road outings (4 ER in 37.2 IP), the second-best road ERA in baseball (min. 35 IP on the road) to Oakland'sRyan Cook (0.72)...conversely, his home ERA was 6.19 (22 ERin 32.0 IP)...Better vs. right-handers, holding them to a .196 average with a .626 OPS vs. .239 and a .769 OPS by left-handers...Competed for Team USA in 2013 World Baseball Classic. Tim pitched the entire season for the Royals, his first at the Major League level, and tied Mike MacDougal's clubrookie record with 68 appearances...his 68 appearances led American League rookies and was the fourth-mostamong MLB rookies...Opponents hit just .216 against him, the third-lowest average all-time among Royals rookies with at least 50appearances...issued 29 of his 48 walks to left-handed batters...Tossed 3.0 shutout innings on April 3 vs. Los Angeles, striking out 5, and earning his first Major League win, 12-9. Spent time with three organizations in 2010, finding a home with the Royals system following a trade deadlinedeal with the Atlanta Braves on July 31...Opened the campaign in the Toronto system at New Hampshire (AA) before being acquired by the Braves on July14 in a five-player deal that swapped shortstops Yunel Escobar to Toronto and Alex Gonzalez to Atlanta...Was scored upon in just 2 of his 15 relief appearances for Omaha, his first action at the Triple-A level...Was one of a record six Royals farmhands to represent Team USA at the Pan American Games QualifyingTournament...posted a 2.57 ERA in five relief appearances, tossing 7.0 innings as Team USA finished tied forthird and qualifi ed for the 2011 Pan Am Games as well as the 2011 World Cup. Debuted in 2007 with the Gulf Coast Jays after signing as a rare non-drafted free agent out of high school. April 10, 2019 Chicago Cubs recalled LHP Tim Collins from Iowa Cubs. March 24, 2019 Chicago Cubs signed free agent LHP Tim Collins. March 24, 2019 Chicago Cubs optioned LHP Tim Collins to Iowa Cubs. 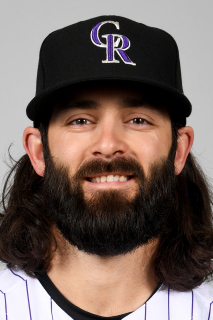 February 6, 2019 Minnesota Twins signed free agent LHP Tim Collins. February 6, 2019 LHP Tim Collins assigned to Rochester Red Wings. October 29, 2018 LHP Tim Collins elected free agency. August 14, 2018 Washington Nationals selected the contract of LHP Tim Collins from Syracuse Chiefs. July 4, 2018 Washington Nationals sent LHP Tim Collins outright to Syracuse Chiefs. July 4, 2018 Washington Nationals designated LHP Tim Collins for assignment. June 5, 2018 Washington Nationals activated LHP Tim Collins from the paternity list. June 3, 2018 Washington Nationals placed LHP Tim Collins on the paternity list. May 21, 2018 Washington Nationals selected the contract of LHP Tim Collins from Syracuse Chiefs. May 15, 2018 LHP Tim Collins assigned to Washington Nationals. February 13, 2018 LHP Tim Collins assigned to Syracuse Chiefs. December 29, 2017 Washington Nationals signed free agent LHP Tim Collins to a minor league contract and invited him to spring training. November 6, 2017 LHP Tim Collins elected free agency. July 30, 2017 LHP Tim Collins assigned to Potomac Nationals from Syracuse Chiefs. July 12, 2017 Syracuse Chiefs sent LHP Tim Collins on a rehab assignment to GCL Nationals. April 4, 2017 Syracuse Chiefs placed LHP Tim Collins on the 60-day disabled list. December 13, 2016 Washington Nationals signed free agent LHP Tim Collins to a minor league contract and invited him to spring training. December 13, 2016 LHP Tim Collins assigned to Syracuse Chiefs. November 18, 2016 LHP Tim Collins elected free agency. November 4, 2016 Kansas City Royals activated LHP Tim Collins from the 60-day disabled list. November 5, 2015 Kansas City Royals activated LHP Tim Collins from the 60-day disabled list. October 2, 2014 Kansas City Royals activated LHP Tim Collins. September 30, 2014 Kansas City Royals reassigned LHP Tim Collins to the minor leagues. September 19, 2014 Kansas City Royals recalled LHP Tim Collins from Omaha Storm Chasers. August 27, 2014 Omaha Storm Chasers activated LHP Tim Collins from the 7-day disabled list. June 24, 2014 Kansas City Royals optioned LHP Tim Collins to Omaha Storm Chasers. May 4, 2014 Tim Collins roster status changed by Kansas City Royals. April 25, 2014 Kansas City Royals sent LHP Tim Collins on a rehab assignment to Omaha Storm Chasers. March 30, 2011 Kansas City Royals selected the contract of LHP Tim Collins from Omaha Storm Chasers. January 3, 2011 Kansas City Royals invited non-roster LHP Tim Collins to spring training. July 31, 2010 Kansas City Royals Traded CF Rick Ankiel and RHP Kyle Farnsworth to Atlanta Braves; Mississippi Braves Traded LHP Tim Collins to Omaha Royals and Atlanta Braves Traded CF Gregor Blanco and RHP Jesse Chavez to Kansas City Royals. August 18, 2009 Tim Collins assigned to New Hampshire Fisher Cats from Dunedin Blue Jays. April 9, 2009 Tim Collins assigned to Dunedin Blue Jays from Toronto Blue Jays. July 27, 2007 Toronto Blue Jays signed free agent LHP Tim Collins to a minor league contract.